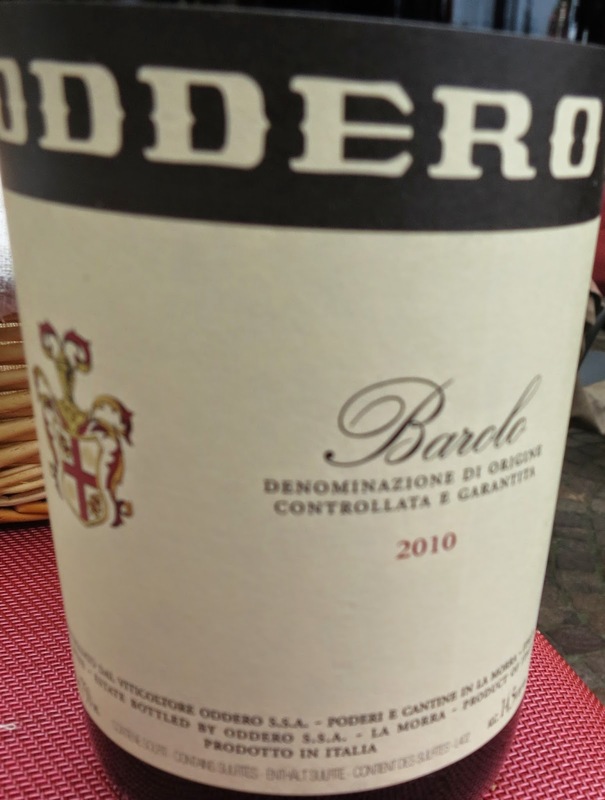 Oddero is one of the oldest and most respected wineries in Barolo denomination and whole of Langhe, for that matter. It was founded in 1878 and is situated in the village of La Morra. This very traditional house has always made Barolos to "reckon with" amongst the Barolo enthusiasts. But lately it`s name has become more familiar to even wider public, not least because of 2010 Barolo`s appearance as the #39 wine in Wine Spectator`s top100 list of 2014.
in La Morra, called Santa Maria Bricco Chiesa and the other in Castiglione Falletto, called Bricco Fiasco. Aromas of sour cherries, strawberries, leather and a bit of "sous bois" elements. At first quite ethereal on the palate, almost escaping, yet not too far. Red fruits surrounded with earthy notes, leather and tobacco. Strongish tannins, that really doesn`t disturb the fruit. In fact, quite surprising balance here. Although this is quite elegant, would say almost feminine, and at first somewhat shy Barolo, the wine shows a second act, and gains more and more momentum, power and intensity in the finish; proving that it will age beautifully. Nice build up and a good length. I`d say this is a pretty good value for the money. Great effort from Oddero. Kudos!